Budenheim, Germany – April 09, 2018 BERICAP is well-known for caps and closures that surpass the usual packaging solution standards. With one of its latest innovations, the company underlines its position as leading plastic closure company for the vaping industry in Europe. For the e-smoCapTM for e-liquids, a new YouTube video showing the outstanding consumer convenience, as well as safety features of the product, is now available. The brand-new video gives a detailed overview of the main product features of BERICAP e-smoCap™. 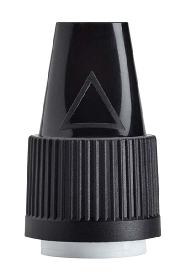 It is a childproof closure that allows easy refilling of e-cigarettes through a long, narrow nozzle – a technique that can be applied to other product sectors where precision dosing is of paramount importance. The closure is fully recyclable, complies with the Tobacco Product Directive and is ISO 8317 CRC certified by the French Laboratoire National d'Essais. A tamper evidence band ensures that it is tamper-proof, thus providing safe use for end consumers. 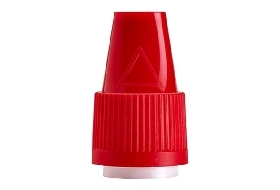 In addition to the established production lines in BERICAP France, BERICAP UK has recently invested in a completely new production line to manufacture BERICAP e-smoCap™vape bottle caps. By using modern video techniques, the main product features are presented in an animated way that makes the product features easy and quick to comprehend. Product videos are a relatively new medium at BERICAP. 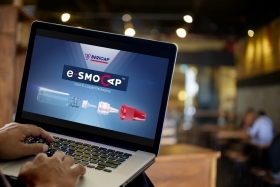 The new e-smoCap™ video is one of the first product videos to be found at the company's YouTube Channel. "In order to support our goal of underlining our role as innovation generating and quality-driven player in the market, new products will be supported much more intensely by using these additional tools in the future”, explains Thünemann. “Especially for products with a clear focus on consumer convenience, short videos are the best way to present information as well as emotions. BERICAP products will be shown as an integral part of daily life or give a clear idea of how the products can make life easier, safer or more comfortable.” Videos giving insights on BERICAP as employer brand will complete the future video range.